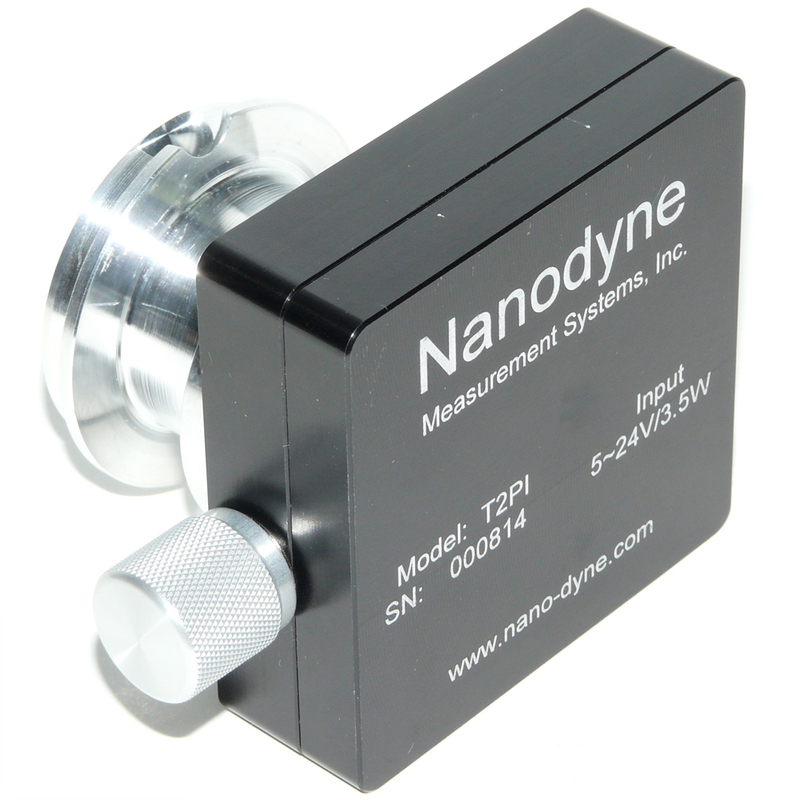 This Nanodyne LED illuminator replaces the original VWR VistaVision illuminator. It provides a whiter, brighter light than the original, while using far less power. No more bulb replacements. Replaces the entire original illuminator assembly, including the power supply, eliminating both problems with the old bulb socket melting or breaking, and power supply failure. Intensity control is continuous from 0-100%. 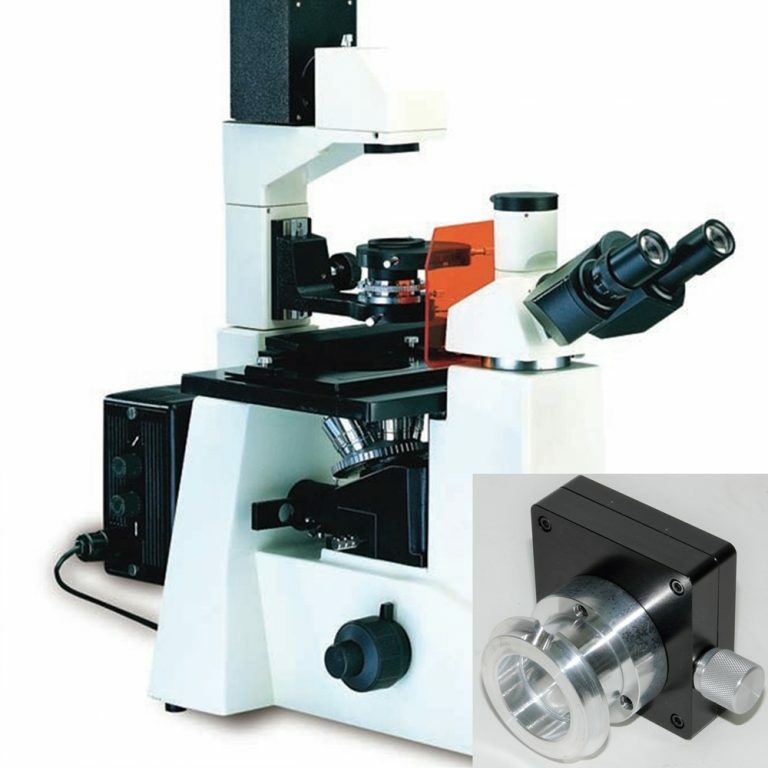 Our illuminator was designed to replace the VWR VistaVision illuminator on the inverted microscope, but many other VWR microscopes use the same illuminator. Compare your illuminator with the above picture of the OEM VWR VistaVision Illuminator to see if this will fit your microscope. If you are not certain, please contact us for help. We can usually make a custom adapter in case we don’t already have something ready to go. 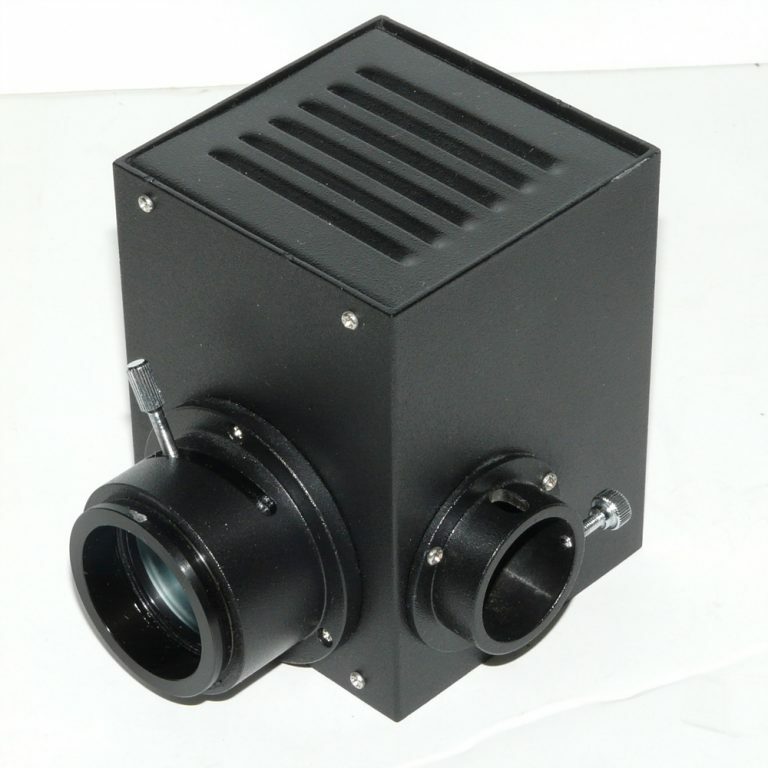 Custom-designed to fit the VWR VistaVision Inverted Microscope and other models using the pictured OEM illuminator. 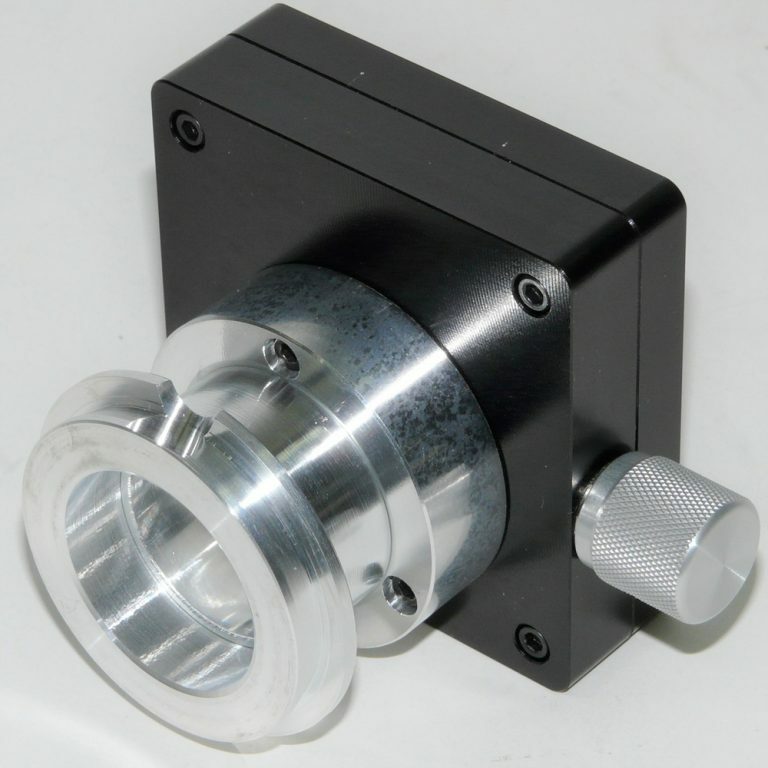 Due to the convenient location of the illuminator on the inverted and metallurgical microscopes, the standard location for the intensity adjustment is on the illuminator housing. Remote intensity control is still an option. Contact us if this is desired. Easy installation – just loosen the thumb screw holding the original illuminator, remove it, replace with the new Nanodyne illuminator and tighten the thumb screw. Plug in the power supply and it is ready to use.